You can continue to enjoy the taste of guava fruit, even when it�s not in season, when you bite into a Hawaiian Shaved Ice guava snow cone. 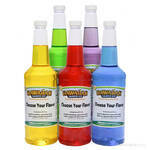 This syrup flavoring tastes so real, you will think you�re eating the delicious tropical fruit! Everyone can enjoy the fruity taste of guava shaved ice cones. 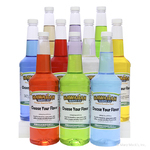 It�s the perfect flavor to enjoy by the pool with friends, or an after-dinner dessert with the family. Basically, this snow cone syrup flavor is the perfect treat, anytime! 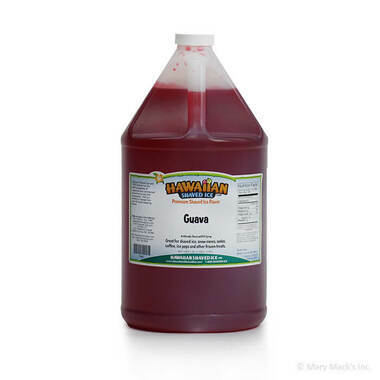 To keep the enjoyment going, grab a gallon of the guava sno cone flavoring. Everyone will love the tropical taste and before you know it, you�ll be dreaming of a tropical vacation to go along with this tasty shaved ice! 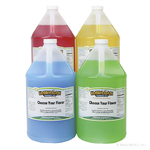 This flavor is also available in the quart size, or in an assorted package, to go with other great Hawaiian Shaved Ice flavors!